You may have watched the trailer that I posted a couple of weeks ago, or read the first little bit of ABeauty so Rare that followed it. I trust that those whetted your appetite for this book as they did mine. I just finished reading A Beauty So Rare, and let me tell you… the book completely lived up to its promise. The setting of the book was absolutely perfect; a war-torn South recovering from the devastation of the War Between the States (aka the War of Northern Aggression, aka the Civil War) and coming back to life. The setting highlights the strength Americans, both natural-born and immigrants and the blending of the two that comprises our country then and now. Tamera also highlights the strength of the Southern Americans who worked to rebuild their cities and lives torn apart by war. 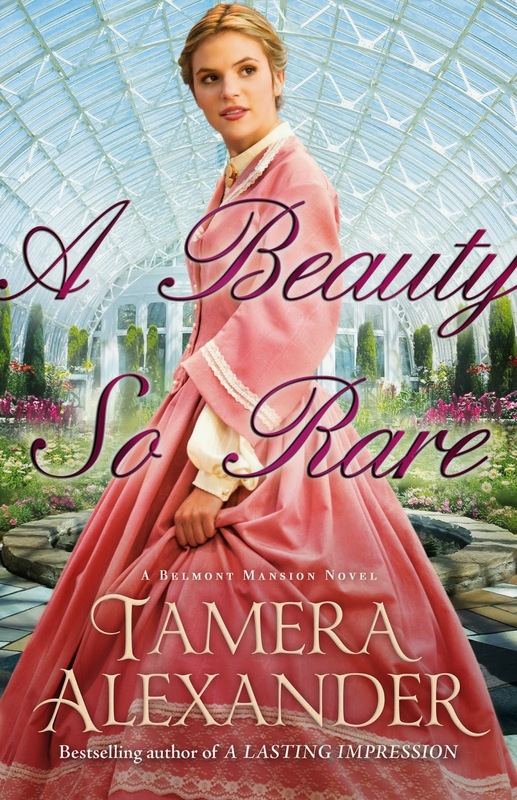 Tamera paints a beautiful word picture when she describes the beautiful (and very real) Belmont Mansion. Tamera’s descriptions of the buildings, whether historical and stately, dilapidated, or progressive architectural works of art, never fail to take you on a journey into that place. Through her words, the author guides you into the room, to stand in the corner, and watch as the lives of these characters unfold. I thoroughly enjoyed the unfolding of each character’s story, but I especially liked the main characters, Eleanor and Marcus. Their personal issues, responsibilities, insecurities, struggles, burdens, talents, passion, compassion, and interests… it all really shines through. Not only does Tamera create a word picture of the things you can see, but she also creates a word picture of the unseen… of the hearts and characters of each person in the book. You can sense Marcus’s inner struggle between duty and purpose, between what he was born to do and what he has been called to do. You want to believe that Eleanor really is beautiful, but you also feel her insecurity and you wonder… is she? You know that her beauty comes from within, but as you fall in love with her through Marcus’s eyes, you see that beauty shine through. One of the secondary characters that I really enjoyed was Naomi. She has a quiet strength about her, and a grace and generous spirit that is displayed in all she does. Throughout the book, she is quietly standing by in the background, supporting Eleanor, in her actions and words, but also in her silence. I highly recommend A Beauty so Rare and place it solidly on my top 10 list for this year. You can purchase the book on Amazon. In celebration of the release of A Beauty So Rare, for a limited time, Book #1 in the Belmont Mansion series, A Lasting Impression, is available as an e-book at a discounted price.